Allen D. Manuel Jr, 49, of Indianapolis, passed away suddenly Sunday, July 8, 2018. Allen was born on May 26, 1969, in Danville, Indiana, the son of Allen D. and Barbara (Sager) Manuel Sr. He was previously married to Kimberly Martin, on April 25, 1992, in Indianapolis. She survives. He is also survived by four daughters- Jessica (Nick) Martin-Frietzsche of Indianapolis, LeAnne (Michelle) Manuel-Long of Plainfield, Rachel (Kayla Cassady) Manuel of Muncie and Nikki (John Rybolt) Manuel of Indianapolis; parents- Allen and Barbara Manuel of Wheatfield; two brothers- David (Brenda) Rice of Sheridan, Indiana and Courtney (Bryan) Rice of Indianapolis; one sister- Kytheria (Chris) Rusk of Wheatfield, Indiana; and ten grandchildren. He was preceded in death by his paternal grandparents- Kenneth and Betty Manuel, maternal-grandparents- Charles and Lillian Sager, aunt- Anita Crowe and brother-in-law- Scott Martin. Allen worked for several years as a roofer in the Indianapolis area, most recently for Ralph R. Reeder and Sons Roofing. He enjoyed camping, listening to music, cars and motorcycles. Allen’s greatest love was spending time with his children and grandchildren. He will always be remembered as a hard worker and his enjoyment of taking care of others. A Celebration of Allen D. Manuel Jr’s Life will be held at 12:00 p.m. Tuesday, July 17, 2018, at the Norman F. Chance Funeral Home, 504 National Avenue, Indianapolis, with Pastor Don Young officiating. He will be laid to rest following the services in New Crown Cemetery. 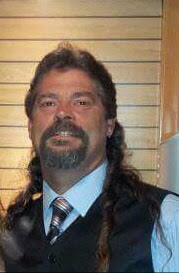 Visitation will be from 4:00 p.m. to 8:00 p.m. Monday at the funeral home. Memorials may be made to the family. The family has entrusted the Norman F. Chance Funeral Home to assist them in honoring Allen’s life. Memories or photos may be shared with the family on his everlasting memorial page at: www.ChanceFuneralHome.com.